NGUZUNGUZU TODAY - mudd up! a quick reminder that L.A. visionaries Nguzunguzu will be performing and talking LIVE on my radio show tonight, 7-8pm EST, 91.1fm WFMU, streaming at wfmu.org. For a warm-up, here’s their Moments In Love Art of Noise-inspired mixtape, and here’s a great interview courtesy of Mixpak Records. 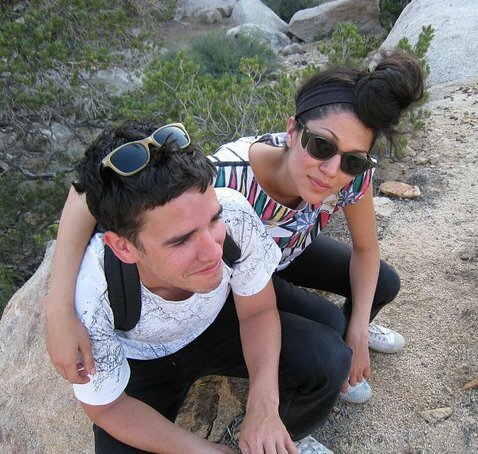 In addition to hearing them live (a kind of consolation prize for those who didn’t experience them at Dutty Artz’ SWEATLODGE party last Friday), Daniel and Asma will discuss life, wildness, DJing for MIA, building microutopias, and more. Then they go tour Europe and I go research in Morocco. COMING SOON: black metal transcendentalists Liturgy will be the next guests on Mudd Up!, joining me on Monday April 4th. To discuss choral music, impossible compositions for Mexican player pianos, Hunter’s vision ‘the rupture beat’ (see the Liturgy manifesto! ), dissonance & the sublime.